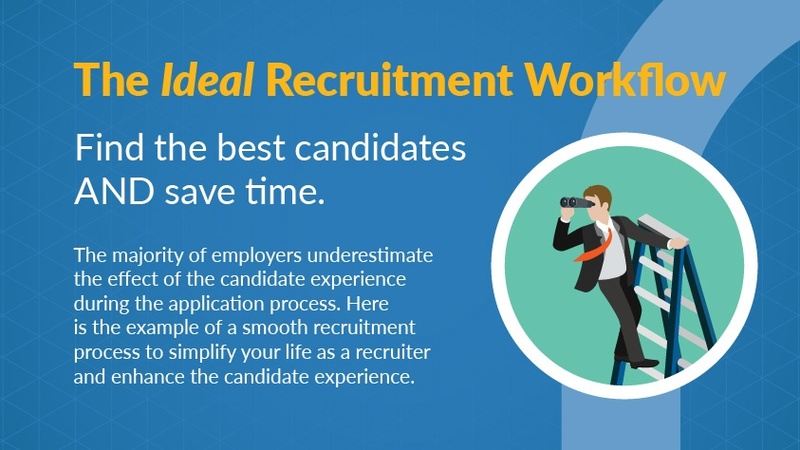 Infographic – The Ideal Recruitment Experience: find the best candidates. Faster! Long and complicated application process scare good candidates off. In a time where talent is scare, can you really afford to lose candidates? 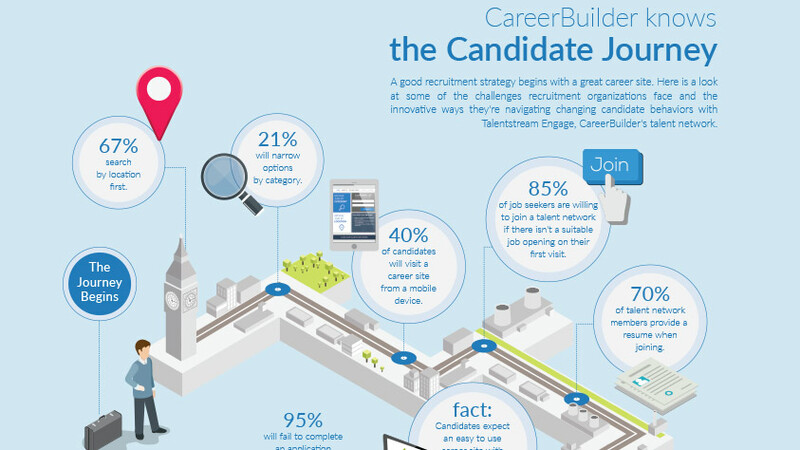 Have a look at our infographics and step up your recruiting with an optimised and candidate centric approach. 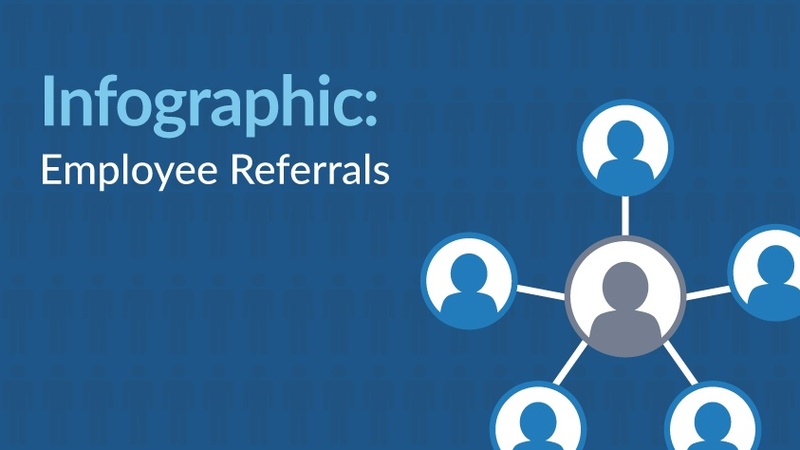 We show an ideal recruitment process to help you attract and retain the best talent faster. 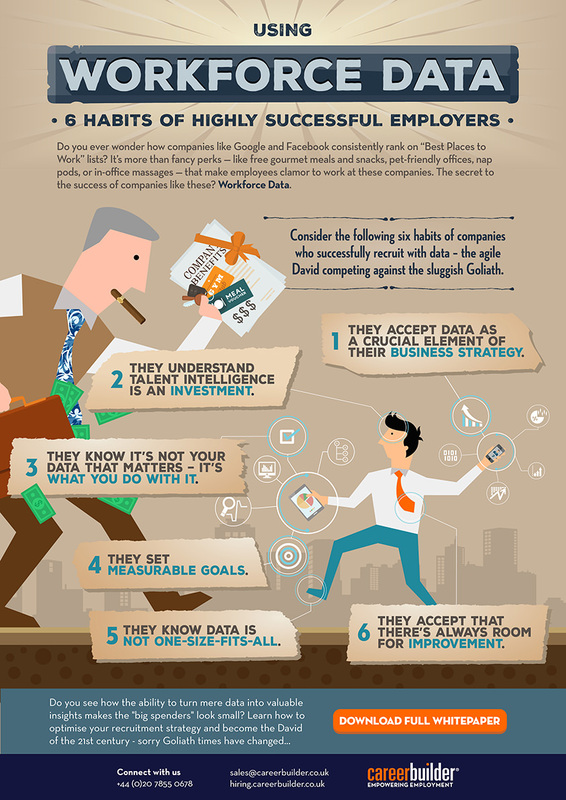 Infographic: How employees become valuable ambassadors and headhunters! Companies are being confronted with a new generation of candidates. Young people in particular are well connected and active in social media - they are also looking for interesting work. Demographic changes and an increasingly competitive job market continue to make recruiting top talent a real challenge. 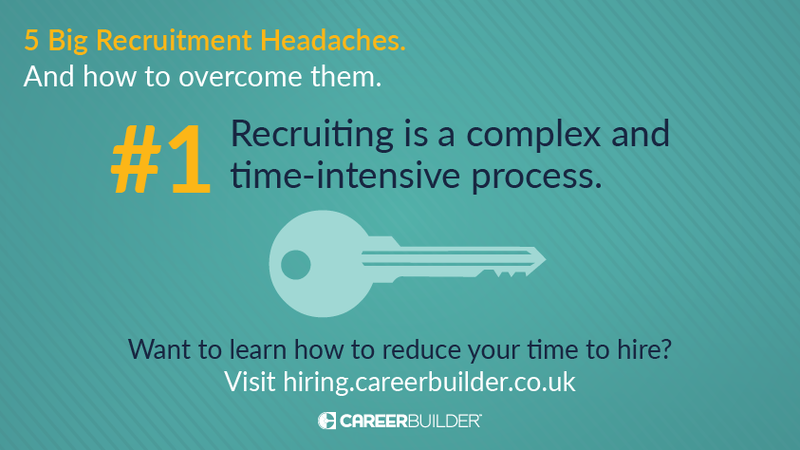 So how can companies go about convincing today’s demanding applicants and succeed in long-term retention? Your reputation is on the line: the organisation is trusting you to find the right people for the right jobs at the right time – without skipping a beat. Unfortunately, you don’t have the luxury of unlimited time or resources, so you can’t afford to play a trial-and-error guessing game. 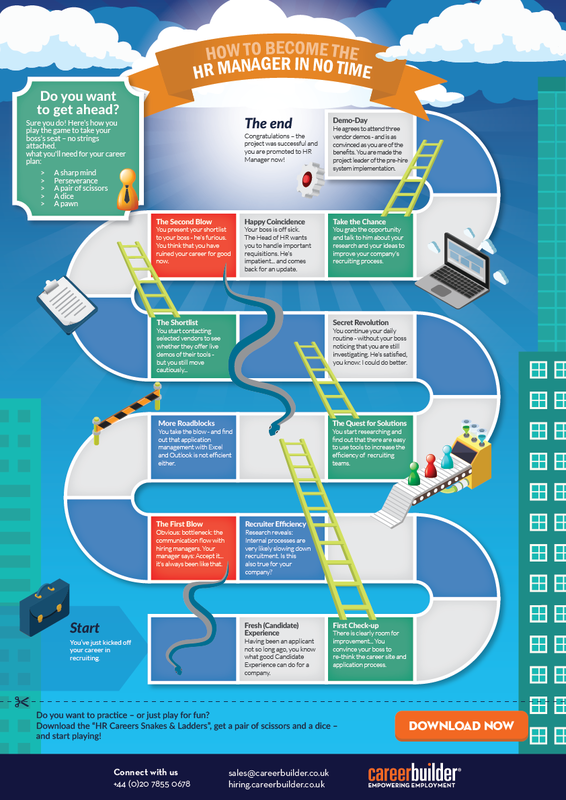 Learning more about why your candidates stick with your process or leave it can produce great results. 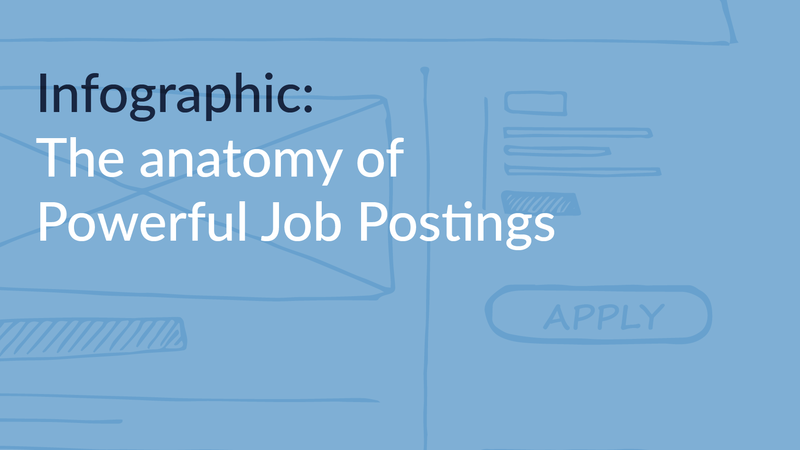 While candidate journeys get more complex, companies need to give themselves the best chance to connect and nurture candidates. Do you want to advance? Sure you do! Here’s how you play the game to take your boss’s seat – no strings attached. Candidate experience, mobile recruiting, agile recruitment and, last but not least and somewhat neglected by the media, the shortage of skilled workers – Today's HR professionals have many challenges to deal with. How do they do it? And how does the brain of a successful talent adviser need to function in order to meet these demands? 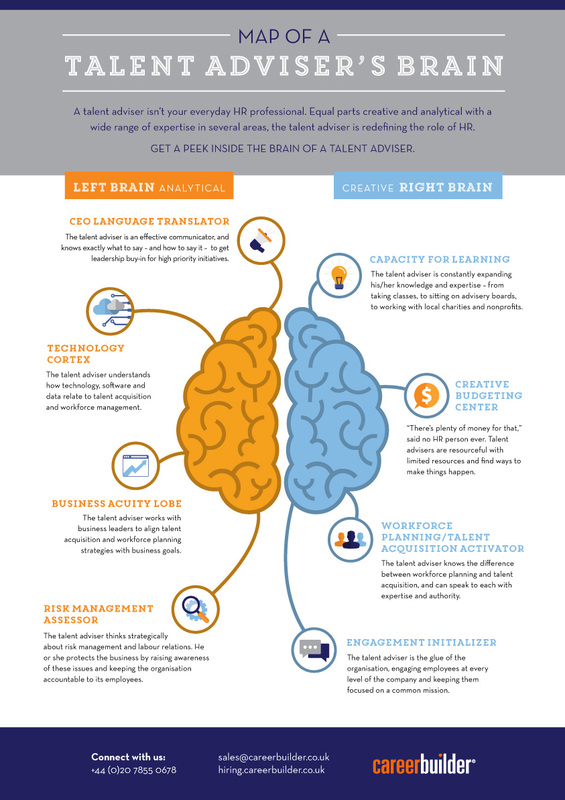 What is a technology cortex? And what do you need a business acuity lobe for? Question after question … See for yourself. When eight arms sometimes don't seem enough, then it's time to take a step back and bring a little more calmness into everyday work. A couple of small tricks will quickly help you to reduce your stress level – after work as well. 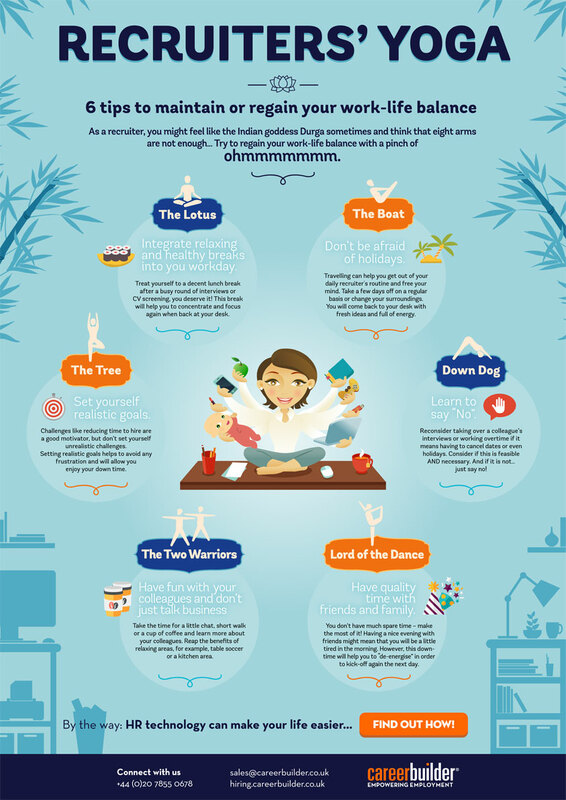 With a pinch of 'Ohmmm' and six basic rules, we show you how you can maintain or re-gain your work-life balance.